For Baselworld 2017, we are excited to introduce Hajime Asaoka’s new chronograph. The fifth timepiece from the Japanese artisan, Hajime Asaoka first caught our attention with his original tourbillon in 2009. In case the genius of the Japanese craftsman isn’t readily apparent, Asaoka was born 1965 in Kanagawa Prefecture, only graduating the Tokyo University of the Arts in 1990, establishing his namesake Hajime Asaoka Design Office in 1992 with official watch production in 2005. 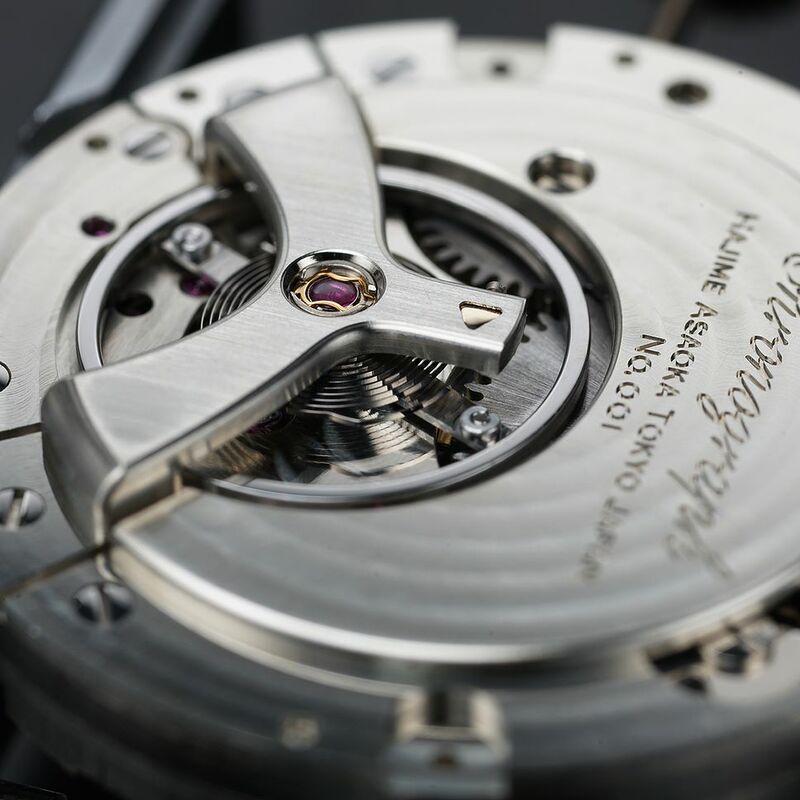 Taking 4 years to go from basic calibres to tourbillon production is quite the step when you consider most Swiss and German watchmakers train at WOSTEP or apprentice at APRP with advanced tools and equipment. 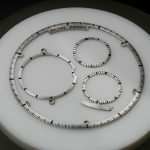 Hajime Asaoka is notable for being a self taught watchmaker, the trained product designer educated himself with George Daniels’ watchmaking tome while practicing his craft with YouTube tutorials and machines bought off eBay. 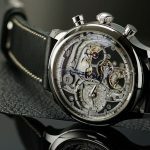 Hajime Asaoka’s Tourbillon #1 took the watch collecting world by storm; an update of his first experimental tourbillon, Hajime Asaoka’s Tourbillon #1 was impressively not based on an existing tourbillon calibre and used a 18,000 bph balance which made for mesmerising viewing (and a technical challenge for chronometric precision given how easily influenced a slow beat balance would be by external forces). Thus, the Calibre T1001 in Hajime Asaoka’s Tourbillon #1 introduced the world to two signature elements of the atelier-style watch boutique – large 15mm to 16mm balance and slow beat frequencies. 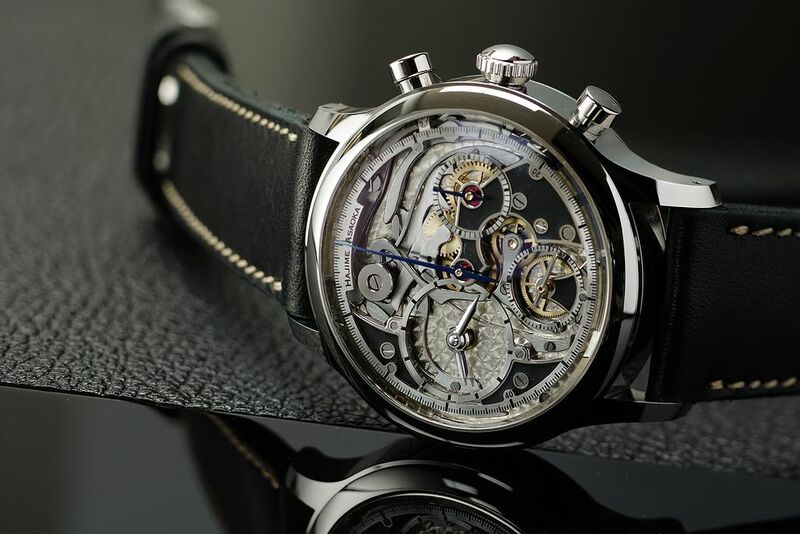 Hajime Asaoka’s new chronograph is a true classical chronograph calibre operated by column wheel uniquely placed on the dial side. Impressively, the large 18,000 slow beat 15mm free-sprung balance wheel. With 38mm dimensions, Hajime Asaoka’s new chronograph is a throwback to the age of traditionally proportioned chronographs from the 70s. 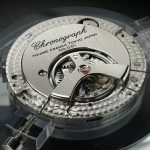 As with all his creations, almost all components of Hajime Asaoka’s new chronograph is designed and manufactured in-house. You can witness step by step assembly of Hajime Asaoka’s new chronograph on his instagram page.